Weight loss is NOT a calorie game — it’s a hormone game (starting with the control of insulin by lowering your blood sugar), and a neurotransmitter game (by overcoming addiction to sugar and starch). Sugar addiction is a subtle and insidious dependency that creeps up completely unnoticed. Unknowingly consumed in processed food or a seemingly harmless meal out, sugar is everywhere. In fact, the average American ingests 150 pounds of refined sugar a year — the equivalent of five tons throughout a lifetime. Don’t be fooled. Simply because sugar is a widespread, accepted substance, doesn’t mean it is anymore innocuous than morphine or heroin. It is just as addictive, if not more so. But there is hope. With a few dietary and lifestyle changes, sugar dependency can be tamed and healthy well-being restored. Back in 14th century London, sugar sold for two shillings a pound — about $50 in today’s market. It was rare and precious, used sparingly to flavor medicines and the occasional sweet. Health issues linked with sugar were sparse as well. With the staggering increase of sugar consumption, incidence of serious disease has spiked. 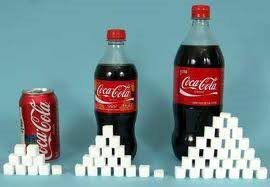 Allergies, obesity, heart disease, cancer, arthritis, diabetes, osteoporosis, PMS, Crone’s disease, herpes, impotence and yeast infections are all induced by sugar. Sugar acts like a misguided antidepressant too. It elevates the level of serotonin in the brain, lifting mood and depression. But it also triggers a sequence of blood sugar peaks and crashes — furthering the need for even more copious amounts of this granulated drug. Withdrawal symptoms include depression, irritability, headache, restlessness and nervousness. Painful symptoms can be minimized, if not completely eliminated, with a dash of knowledge and a plan for healing. Louise Hay, author of Heal Your Body, believes that addictions are rooted in “running from the self” and fear. Positive affirmations and visualization contribute to a foundation of self-love and balance. Exercise boosts mood-lifting endorphin and encephalin. Keep a food journal, slowing down and savoring the natural sweetness of food and life supports equilibrium as well.